You may noticed in many WordPress theme while creating pages that it allow to choose the template. Well you can also create custom page with custom design in your WordPress theme or in any other WP theme. You can completely give it a new design which is different than the theme. 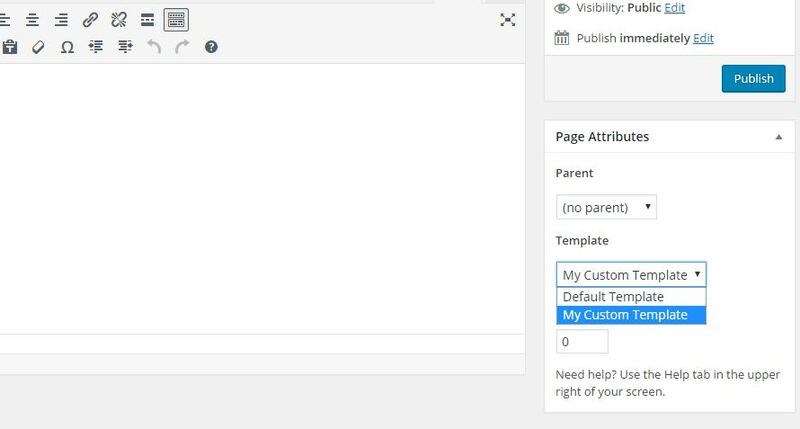 Today in this post I am going to tell you how to create a custom page in WordPress. it is really useful to add custom page template inside a theme when you want to create a page that looks different than the existing theme. Suppose all the page showing sidebars in default, but you want to create a page where you don’t want the sidebar. In this time it is really useful if you create a custom page template and you remove the sidebar from that template. How to create custom page in WordPress? create a PHP file with mycustompage.php inside the root of your WordPress theme’s folder. This code simply tells WordPress that this is a template type file and it should be recognized as My Custom Template. You can give name for your template anything that you want as long as it makes sense to you. After publishing it or if you preview this page then you will see the custom page that you have created. This is the custom page that you created through WordPress. It was really so easy. isn’t it? now try it yourself and enjoy.